Many types of violence, including sexual violence, intimate partner violence, child abuse and maltreatment, community violence, teen dating violence, and others co-occur and share common risk and protective factors, and consequences. It may make sense to work collaboratively with professionals who typically work to prevent a different kind of violence in order to best serve your community and prevent violence. Coordinating and integrating responses to violence in a way that recognizes these connections and considers the individual in the context of their home environment, neighborhood, and larger community. Download a PDF of the brief below. In 2016, the CDC released a report called Preventing Multiple Forms of Violence: A Strategic Vision for Connecting the Dots. This report described CDC’s Division of Violence Prevention’s 5-year vision and areas of strategic focus to help understand, respond to, and prevention violence across the lifespan. This PreventConnect web conference explored how the report can guide local, state, and national violence prevention practice. 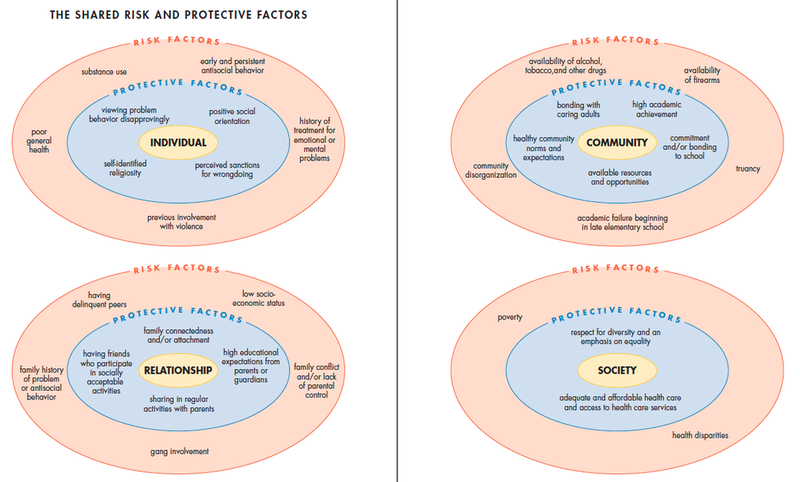 “Bold Steps toward Child and Adolescent Health: A plan for youth violence prevention in Colorado” (2006) from the Colorado Department of Public Health does a great job of highlighting the common risk and protective factors of various kinds of violence. CALCASA’s Unifying Fields Project, “Reciprocal Advancement: Building Linkages Between Domestic Violence and Sexual Assault” provides a foundation to explore and develop resources and relationships to advance the efforts of both sexual assault and domestic violence. If you’re thinking about working with partners that address other forms of violence, check out these resources for collaboration.